The effective implementation of core systems integrated with the latest technologies is the mantra for success in the insurance industry. Insurance companies are looking to do away with legacy systems that are rendered obsolete in this rapidly evolving technological sphere. To meet its aggressive growth agenda, insurers need a scalable system architected on the modern platform, such as Java or .NET. However, a large area of interest where investors are eying their focus on is the development of cloud, as cloud-enabled solutions can take flexibility and scalability for insurers to a whole new level. Technological advancements are also changing customer expectations, and while it’s important to cater to the customer’s needs, the key driver for any successful business remains profitability. Hence the core systems in place need to be such that insurers retain profits while also maintaining a competitive advantage with new products and exceptional customer service. 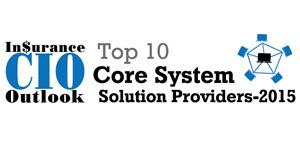 The core systems should also be able to support the full insurance lifecycle including rating, underwriting, policy administration, billing, claims, and customer engagement. Further, CIOs expect their core systems to be able to handle and house the large amount of data collected on each policyholder. The core systems should be designed so as to have the flexibility to manage the full insurance lifecycle across multiple lines from a single platform. 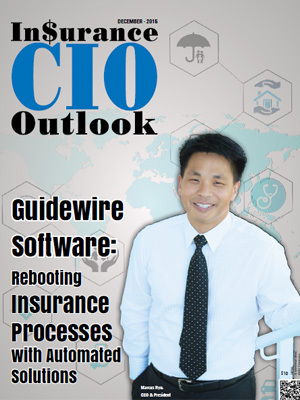 Keeping that in mind, Insurance CIO Outlook has extensively surveyed the market to chart out the top core system providers for the insurance industry, presenting the Top 10 Core System Solution Providers.